Jane Bennett Care Services are very pleased to announce the upcoming arrival of our very own ‘Time Out’ respite club. 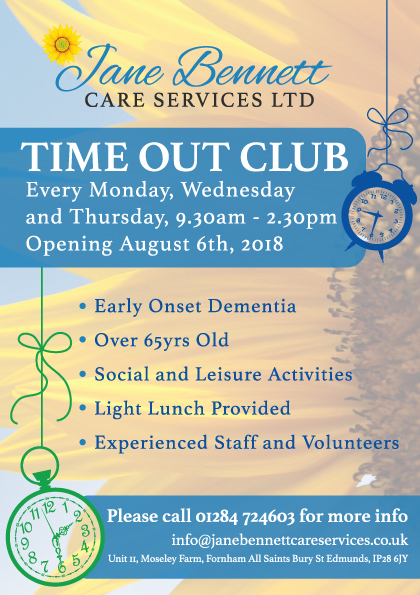 Our ‘Time Out’ club will be starting from August 6th, 2018. The aim of the club is to cater for people over 65 and people with early onset dementia. Everyone attending our sessions will be able to socialise with various activities throughout the day and we will also provide a light lunch. All sessions will be supervised by qualified experienced staff and volunteers.